My 2 year LOVES the water. Swimming, bath time, running through sprinklers, you name it, if he can get wet, he’s in. 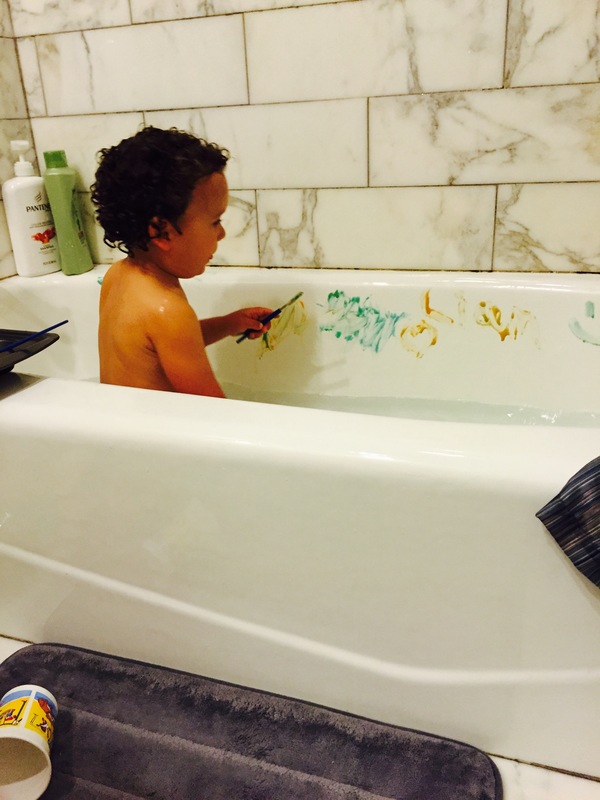 At bath time, he will stay in there for…ev….er. So I needed something for him to do besides splash water all over the place. 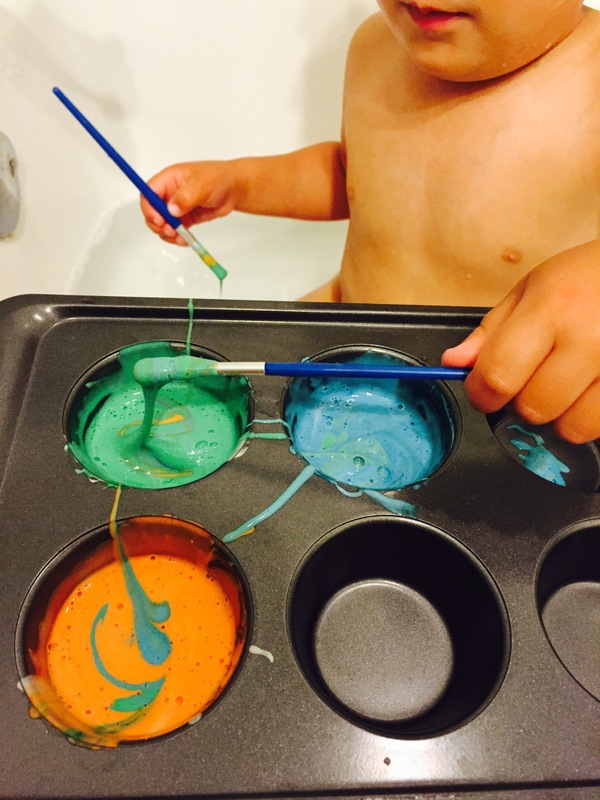 I’ve seen homemade bath paints before, mainly Pinterest, and finally decided to give it a try. 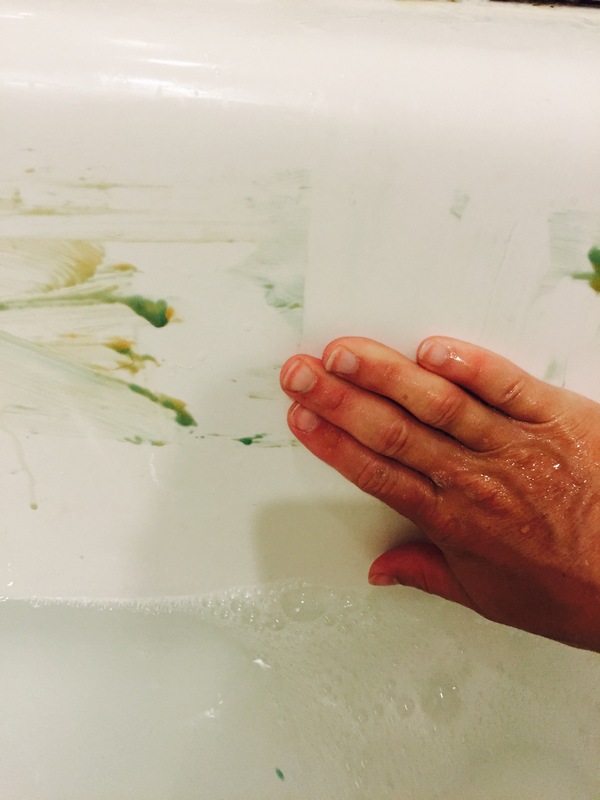 In this post I will do my best to explain everything I did so you can try it, too! 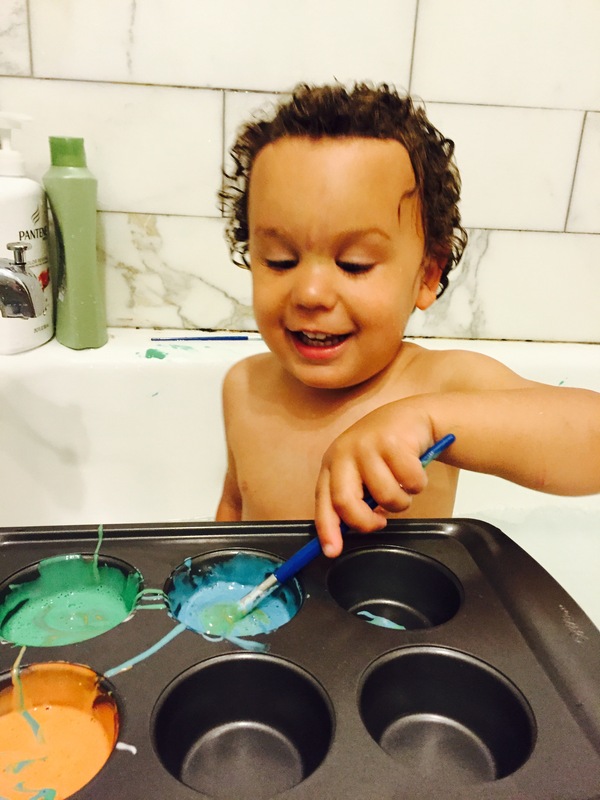 Oh, and this activity is also good for those kids who hate bath time. Now maybe they will enjoy it…? Always worth a try. Some type of bowls/ tin to hold the paint. I used a muffin tin. It worked great to separate the colors. Feel free to double this recipe, but I found it was enough. I made three colors but could have easily made 4. 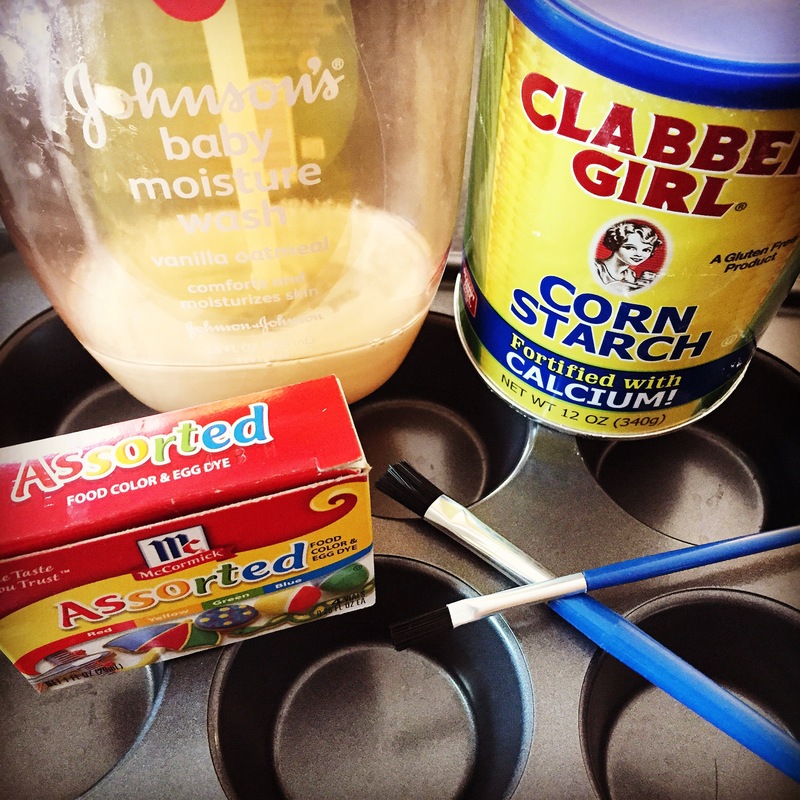 In a bowl, mix together the corn starch and soap until smooth. Divide into bowls or tin, however many colors you want to use. 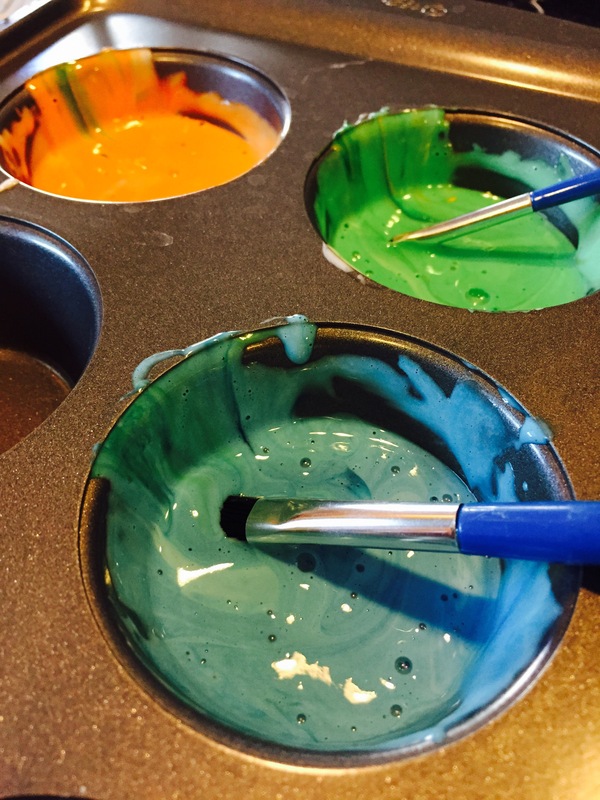 Stir in for coloring until you get desired colors. Super easy. Paint away! 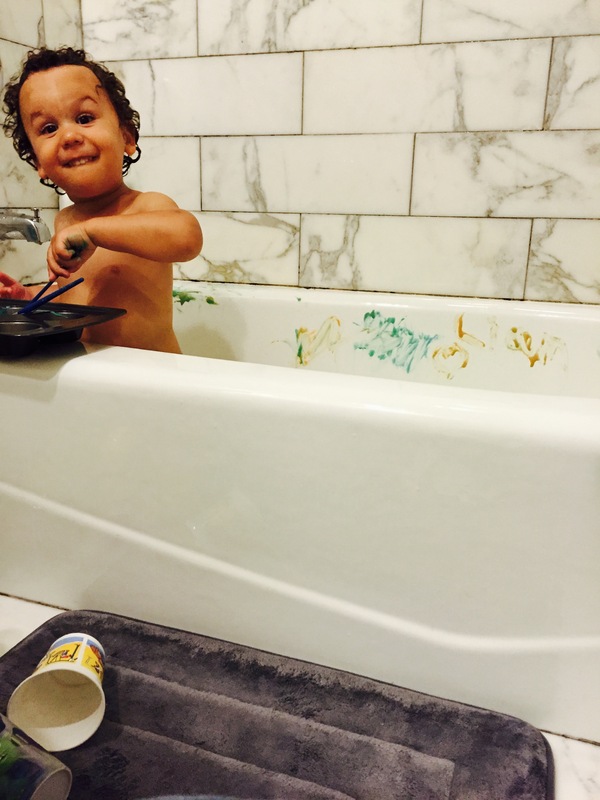 I was worried about the food coloring staining my bathtub but it comes right off. Here are some pictures of my little guy having fun! Will I do this every bath time? Hell no! Too much mess and it uses too much soap. But it was really fun. My guy had a blast! I think he was in there for almost an hour. Pruney hands and feet! Lol that’s the cutest most adorable thing! What a good mom you are! !